LORD ITILL PRODUCTIONS (BRONX RECORDING STUDIO) | IF IT DON'T MAKE DOLLARS! IT DON'T MAKE SENSE! 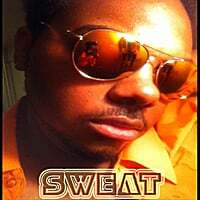 | Buy Music : THE REAL ADONIS "SWEAT"
This song is going to be one, of many, that changes the face of hip hop/ club music forevor. It is designed for the club but instead of the classic anthem it follows a story format, so you have a relatable situation to reflect on even when you are not "throwing your hands up" at that moment. Despite the fact that the song was written in 20 minutes, it purposely rebels against the standard verses that follow a hook. I do my own thing in the writing format, (repeating words I want to say again, and changing the words of the "chorus" as I go) NO IT IS NOT A TRUE STORY; but one that many can relate to as they often reflect on their vague glory of making out that one night at the club... and cant remember if it was liquor or sweat.